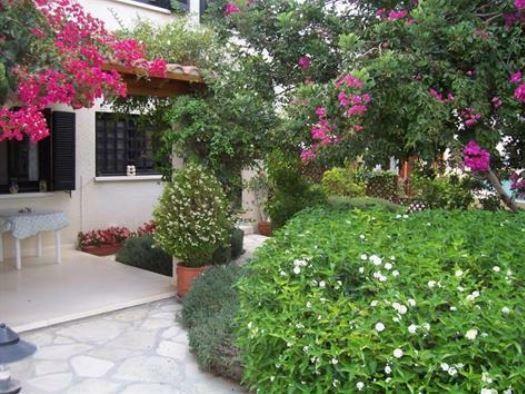 Kamares village - Paphos Cyprus Property for sale in this exclusive community in the Paphos District. "Large, Beautifully Landscaped Plot w/ Sea Views"
"Spacious Bungalow w/ Separate Self Contained Annex"
"Large Private Plot w/ Idyllic Outdoor Leisure Space"
"Panoramic Sea and Mountain Views"
"Elevated Plot with Title Deeds"
"Character Home with Spectacular Views"
"Very Private Cottage Style Terraced Garden "
"Quaint traditional property w/ Conservatory"
Kamares Village is only ten minutes car drive from the town of Paphos, on spiny hills overlooking the Mediterranean Sea and close to the 12th century Monastery of St. Neophytos and the international Tsada golf course. Freehold villas in a country club atmosphere for discerning people who enjoy a Mediterranean style of living. The Leptos Kamares village is a luxury project with the utmost privacy and style. Each tailor-made villa has been carefully sited so as to enjoy the magnificent views of the countryside and the Paphos coastline. Preserving the environment is always a major consideration at each Leptos development – in Kamares alone, over one million trees have already been planted, ensuring the natural beauty of the region has not only been maintained but has been extensively improved. Kamares Village was awarded in 1993 the “Prix d’Excellence” award by FIABCI as one of the top five best residential projects in the World. 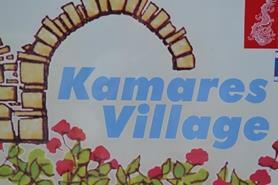 There is a medical emergency service center in Kamares Village open 7 days a week, 24 hours a day.